In December 2018, the Law Reform Commission's Access to Information Sub-committee published a consultation paper making preliminary reform proposals for access by the public to information held by the government or public authorities. The consultation paper made 20 recommendations some of which apply also to archival records. The consultation period closes on 5 March 2019. The existing access to information regime is based on the non-statutory Code on Access to Information. It already possesses key features of relevant legislation elsewhere; namely, presumption of disclosure, proactive disclosure, timeframe for response, giving of reasons for refusals, and an independent body to review the decisions. Nonetheless, taking into consideration the terms of art. 16 of the Hong Kong Bill of Rights and the relevant case-law, the Sub-committee recommended that legislation should be introduced to implement an access to information regime with statutory backing. In deciding the key features of the proposed access to information regime, one has to balance the public's need to obtain more information about public bodies on one hand, and other types of rights including privacy and data-protection rights, and third-party rights on the other hand. The Sub-committee noted also from experience elsewhere that even a very elaborate access to information regime cannot be a panacea to all the problems perceived. We recommend that the legislative regime should be formulated on the principles that it would be easy to administer and cost efficient. In UK, the rights conferred by the Freedom of Information Act 2000 ("FOIA") are only exercisable against 'public authorities'. Estimates of the number of public authorities ranged from 50,000 to 88,000. Public authorities include central and local governments, the Parliament, the National Assembly for Wales, the armed forces, the police, hospitals, doctors and dentists, schools, universities, publicly funded museums, publicly owned companies and designated bodies performing public functions. In Australia (Commonwealth), about 300 government agencies are covered under the Australian Freedom of Information Act 1982. In Canada, at the federal level, about 147 institutions are covered. In the Consultation Paper, the Sub-committee considered the different possible yardsticks for determining the bodies which should be covered by the regime, including whether a body is wholly or partly government-owned, whether it is wholly or substantially publicly funded, whether it has monopoly of a public service, or whether that body has some public administration functions. The Sub-committee believes the types and numbers of bodies should be expanded on a gradual and orderly basis. It is recommended that at the initial stage, the list of 'organisations' covered under The Ombudsman Ordinance (Cap 397) should be adopted. The list covers essentially Government departments and statutory public bodies with administrative powers and functions. Both Canada and New Zealand have some restrictions for non-citizen and non-permanent resident. Australia's legislation has the stated object of giving the Australian community access to government-held information. The US regime has restrictions on use by foreign governments. In UK and Ireland, their regimes can be used by any person. 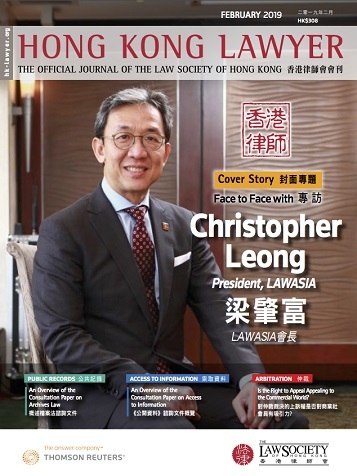 As for Hong Kong, there is a view that there are justifications for limiting the legal right of access to information to residents of Hong Kong because taxpayers' money is involved. However, under the existing administrative scheme in Hong Kong, any person, whether or not a Hong Kong resident, can make request for information. The Sub-committee recommended that any person, irrespective of whether he/she is a Hong Kong resident, is eligible to make access to information request in the proposed regime. This arrangement is in line with the arrangement under the existing Code and the practices in some other jurisdictions. It also saves the administrative cost in verifying the nationality of the applicants. The Sub-committee however noted that this recommendation would be likely to have some impact on the amount of administrative cost involved. The public is invited to provide views on whether they are in support of this recommendation. Governments operate under financial and staff restraints, and access to information is one of the many types of services that is provided to the public. Given that it is difficult for any access to information regime to differentiate commercial users from other users, the service of processing access applications to official information has to be balanced against other functions of administration. The charging of fees should be considered as a means to encourage requesters to be focused in making the request, and to safeguard the sustainability of the system. Under the existing Code on Access to Information, a department may refuse to disclose "information which could only be made available by unreasonable diversion of a department's resources". Successful applicants for access to information would normally be charged for the cost of reproducing the required documents. Manpower costs are not charged. Access to archival records is managed by the Government Records Service ("GRS") through the Public Records (Access) Rules 1996. GRS does not impose a charge on providing public access to archival records, but there are prescribed charges for reproduction of archival records. Some jurisdictions do impose an application fee for access to information service even though the percentage of the overall cost of compliance recouped from fees is very low. Many of the jurisdictions impose an upper limit of costs exceeding which a public body would not be obligated to provide the information. The Sub-committee recommended that some form of payment would ensure that the system would not be abused such that it becomes a heavy burden on taxpayers. There should also be an upper limit beyond which overly complicated and time-consuming requests can be turned down. This is to ensure that public resources and manpower are not excessively-diverted from other public services. The Sub-committee recommended that application fee should be tiered. The basic application fee should cover the first three to five hours of work. If it is estimated that the number of man-hours required cannot be covered by the basic application fee, then the applicant could opt not to proceed or to pay for the extra man-hours. If the estimated number of man-hours reaches a prescribed upper limit say 15 hours, then the public authority has the right not to process the application. It is noted that application charges for archival information warrants a different approach. According to the Principles of Access to Archives promulgated by the International Council on Archives, both public and private entities should open their archives to the greatest extent. Besides, public archival institutions do not charge an admission fee to persons who want to do research in the archives. Institutions may make reasonable charges for copying service on demand. It is recommended that application for archival records should be made free of charge, and reproduction of archival records and provisions of other services can be charged to keep in line with the practices of other jurisdictions. The Sub-committee considered the provisions on exemptions in other jurisdictions, as well as the existing exemption provisions under the Code. In most common law jurisdictions, exempt information is categorized into absolute and qualified exemptions. The Sub-committee proposed to adopt the same methodology. For qualified exemptions, the public body is obligated to consider whether the public interest in maintaining the exemption outweighs the public interest in disclosing the information. As for absolute exemptions, legislation in other common law jurisdictions do not entail the balance of public interest for and against disclosure. Absolute exemptions are designed either to place the disclosure decision entirely within the ambit of separate access regimes, or to subject the right of access to the existing law regarding disclosure. In other words, the public interest for and against disclosure has already been weighed in the other separate access regimes. The conclusive certificate mechanism is operating in the UK, Ireland and New Zealand. 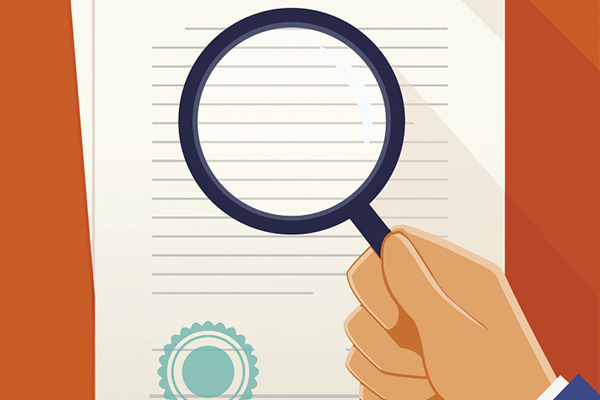 Ministers are given the discretion to issue certificates to override the disclosure decisions of an appeal or review body, or to issue certificates with conclusive evidential effect. Such conclusive certificates can be overturned by judicial review, and there are requirements that such certificates should be laid before the legislature. Despite the sensitivities associated with the issue of such certificates, mindful that they should only be used in exceptional cases and would be subject to judicial review and other appropriate checks, the Sub-committee recommended that the certificate mechanism should be a feature of a proposed access to information regime. With regard to the compliance conclusive certificate, as the setting up of an Information Commissioner's office is not one of the recommendations of the Sub-committee, the certificate would be linked instead to the decision notice and enforcement notice issued by the Ombudsman under the proposed regime. It is recommended that conclusive certificates could be issued either by the Chief Secretary for Administration, the Financial Secretary or the Secretary for Justice, and at a stage before the Judiciary has reviewed the decision to disclose the information. First stage – Internal review of the decision by preferably another officer or officer of a higher rank. Second stage – Review by the Office of the Ombudsman. Third stage – If the applicant is not satisfied with the decision of the Ombudsman, he can appeal to the Court. Having considered the review and appeal mechanisms in relation to archival records in other jurisdictions, we recommend that the review and appeal mechanism of 'live' information should be applicable to archival records. Relevant provisions in various jurisdictions, generally impose an offence of altering or erasing records to prevent disclosure. A right of action in civil proceedings for failure to comply with the access to information provisions is, however, generally precluded. In New South Wales' legislation, criminal sanctions were also applicable to those who are requesting the information. For example, a person who knowingly misleads or deceives an officer for the purpose of obtaining access to government information is guilty of an offence. In Ontario, it is also an offence to wilfully make a false statement to mislead or attempt to mislead the Information Commissioner. It is recommended that where a request for information has been made to a public body, it should be an offence to alter, erase, destroy or conceal records with intent to prevent disclosure of records or information. However, any failure on the part of a public body to comply with a duty should not confer any right of action in civil proceedings. As for enforcement powers, the Sub-committee recommended that where the Ombudsman decides that a public body has failed to communicate information under the proposed regime, he has the power to issue a decision notice specifying the steps which must be taken by the public body and the period within which the steps must be taken. Also, if the Ombudsman is satisfied that a public body has failed to comply with any of the requirements under the proposed regime, the Ombudsman has the power to serve the public body with an enforcement notice requiring it to take such steps within specified time in order to comply with those requirements. With reference to information provided in confidence to public bodies including trade secrets and business information, it is recommended that if the public body is minded to grant access to the applicant, the public body is obligated to notify the third party (supplier of the confidential information) to enable the third party to make submissions or to take out judicial review. If the public body is unable to cause the third party to be notified, then an application may be made to the Ombudsman to issue directions or to dispense with the notification requirements. The consultation period will last for three months until 5 March 2019 and the Sub-committee welcome views, comments and suggestions on any issues discussed in the consultation paper. We would strongly encourage members of the profession to respond on this important subject.